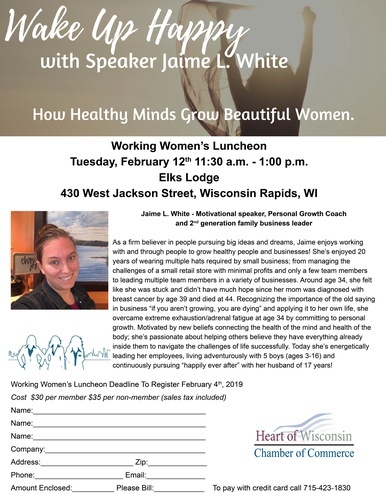 As a firm believer in people pursuing big ideas and dreams, Jaime enjoys working with and through people to grow healthy people and businesses! She’s enjoyed 20 years of wearing multiple hats required by small business; from managing the challenges of a small retail store with minimal profits and only a few team members to leading multiple team members in a variety of businesses. Around age 34, she felt like she was stuck and didn’t have much hope since her mom was diagnosed with breast cancer by age 39 and died at 44. Recognizing the importance of the old saying in business “if you aren’t growing, you are dying” and applying it to her own life, she overcame extreme exhaustion/adrenal fatigue at age 34 by committing to personal growth. Motivated by new beliefs connecting the health of the mind and health of the body; she’s passionate about helping others believe they have everything already inside them to navigate the challenges of life successfully. Today she’s energetically leading her employees, living adventurously with 5 boys (ages 3-16) and continuously pursuing “happily ever after” with her husband of 17 years!